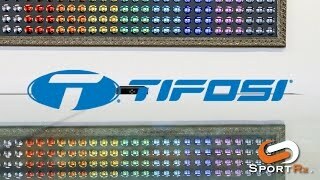 Tifosi Seek FC (Full Coverage) is the perfect combination of style and functionality. The Seek FC is a larger, taller lens for fuller coverage compared to the Seek. The frame features an aggressive and bold styling designed to turn heads. Tifosi Seek FC sunglasses are built with shatter-resistant, de-centered poly-carbonate lenses, extremely high-strength Grilamid TR-90 nylon frame, and sweat-detecting grip technology in ear and nose piece.